Do you need help chasing your unpaid sales invoices? Our focus is often on sourcing finance for our customers, but in some cases it is a credit control service that they need, and we have plenty of options available. We have a number of providers that can offer these types of services, and using them can both speed up your debt turn, get your invoices paid and remove the need to employ your own credit controllers (or worse still - chase your customers personally). 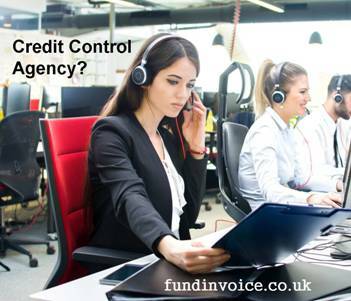 For an idea on the cost of credit control services, please see our article on the subject, however, you need to get a quote for your own business in order to understand the cost for you. This will also highlight the potential cost benefits when compared with employing your own credit control staff (not to mention the hassle factor). The big issue is always selecting a provider that can offer a good level of service. We have experience of working with agencies that we can recommend to you. The other area that such services can be very helpful is if you are an exporter selling abroad. Having a credit control agency with language skills is likely to be of great help. It can be very difficult trying to collect for foreign debtors if you don't have the language skills in house to discuss and resolve issues with them. Once again, there are specialist agencies that can offer you access to experienced credit controller with foreign language skills. There are also confidential services that will undertake all the work for you, but in the name and branding of your own company. In this way, customers think they are being contacted by a department of your business, rather than an agency. This can be useful if you want to create the impression of being a large organisation. However, it is also worth mentioning that some of the agencies that we deal with are well known brands, and this can have a positive effect on customers, often making them pay quicker than they might otherwise. If you want to run your own credit control function please see our free guide to successful credit control.